Petunias will bloom all summer long and attract hummingbirds to the garden! 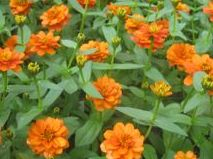 Marigolds are often used to protect vegetable gardens from root-damaging nematodes as well as keep deer and rabbits away. 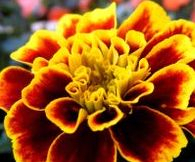 The marigold aroma is not attractive to animals. Pansies are cold tolerant, perfect for early planting! Features: Prized for its sweet fragrance and prolific blooming capacity. Uses: Perfect for borders, planters, window boxes, hanging baskets and rock gardens. Growing info: Full sun to light shade. Water requirements: Keep evenly moist or plant will seed, however, avoid waterlogging it. 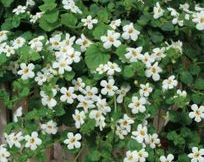 Features: Sutera cordata adds a punch of flower that can reach up to 3 feet long. Pinch back 2 or 3 times for fuller branching. Uses: A spiller plant best suited for hanging baskets, planters and window boxes. Water requirements: Keep the soil consistently moist but not waterlogged. Plants that dry out will drop their buds and flowers before wilting. The plant will need two weeks to renew blooming. 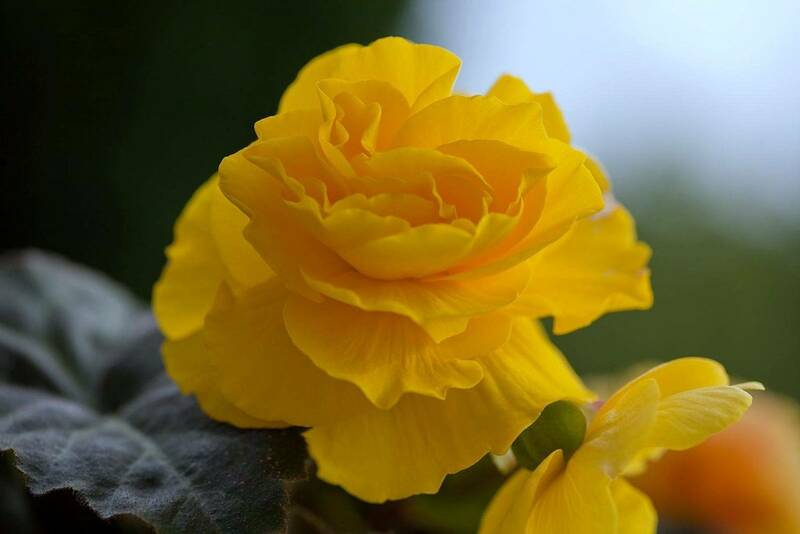 Features: known for their small flowers that bloom profusely, they are the lowest maintenance annual flower. Uses: Along the edge of a garden or walkway and in mass plantings. Growing info: Full shade to part sun. Water requirements: Keep evenly moist but not waterlogged. Features: Mildew resistant and can take full sun. Consumers will be rewarded with a blanket of blooms in all but the most extremely hot regions. 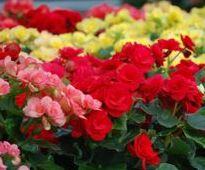 They are more wind resistant than other begonias, and much more drought resistant than New Guinea Impatiens. Uses: Hanging baskets, window boxes, planters and mass planting. 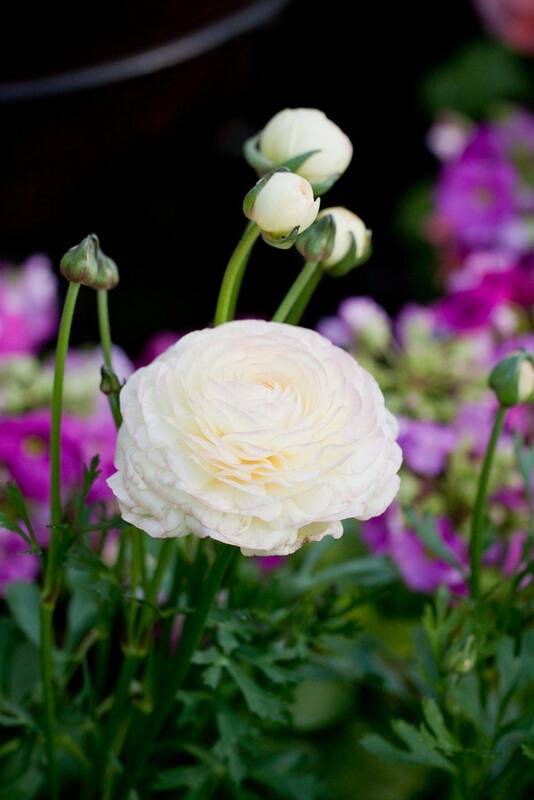 Features: Produce extremely large flowers of 3” to 5” across, depending on variety. Their tubor can be overwintered if stored in a cool dry place. Growing info: Full shade to part shade. Features: Produce a proliferation of sunny yellow blooms which are heat and drought tolerant. This is a semi-trailing plant. Uses: Hanging baskets, window boxes, planters and in the landscape. Growing info: Full to part sun. No deadheading required. Features: Beautifully elegant horn shaped flowers on a long stem make this a perfect container garden accent plant. Growing info: Full sun. Use pelleted time release fertilizer to encourage blooming all summer long. 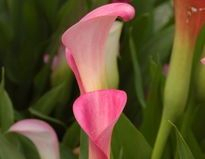 Water requirements: Native to marshlands, the Calla Lily needs to be kept well watered to ensure continual blooms. Features: This perennial has blue bell shaped flowers that attract butterflies to your garden. Uses: Planters, window boxes and hanging baskets. Growing info: Full sun to part shade. Mounding habit will reach 8” to 10” tall. Water requirements: Keep the soil evenly moist. 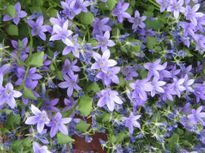 Campanula do best in medium wet soil as long as they don’t sit in water which will cause root rot. Features: Bright, multi-colored foliage in a variety of shapes and sizes. Wonderful accent plant to your shade container garden or garden bed. Uses: Planters and garden beds. Growing info: Partial shade to partial sun. Pinch out growth tips to encourage a bushier plant. Features: Multi-colored leaves that can grow up to 12” in length will add drama to any shady spot. Features: Two or three different plants are made to grow into one spectacular plant. Uses: Planters, baskets and window boxes. Growing info: Full sun. Deadhead for best blooming power. 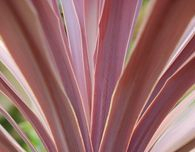 Features: Cordyline gives your garden a touch of the tropics with its colorful foliage and boasts drought tolerant tendencies. Growing info: Full sun to full shade. Features: Crotons bring a little piece of the tropics to your yard or garden. Best known for it’s colorful, waxy leaves, this plant can handle diverse light levels. Uses: Perfect accent plant in planters which can be brought indoors at the end of the season. Water requirements: For best results, water often and do not let dry out. Features: Perfect in full sun, dahlias bloom profusely in the heat of summer and are well known for their big showy flowers. Uses: Mass planting, also a good feature plant in container gardens. Growing info: Full sun to part shade. Deadhead regularly for fuller foliage and fertilize often for best results. Features: Blooming performance from early spring to first frost. Uses: Mass planting, window boxes and planters. Growing info: Plant in full sun. Deadhead and fertilize for constant blooming. Features: Most often used in the center of patio pots and in windowboxes, they provide height and contrast. Growing info: Full sun to full shade. One of the hardiest annuals, with an excellent frost and drought tolerance. Water requirements: Water occasionally to keep from drying out. Features: This nostalgic trailing flower attracts hummingbirds to your garden. Uses: Hanging baskets, window boxes and container gardens. Growing info: Partial shade to partial sun. Performs best when placed in filtered sunlight at mid day. Water requirements: Needs frequent watering to prevent wilting. 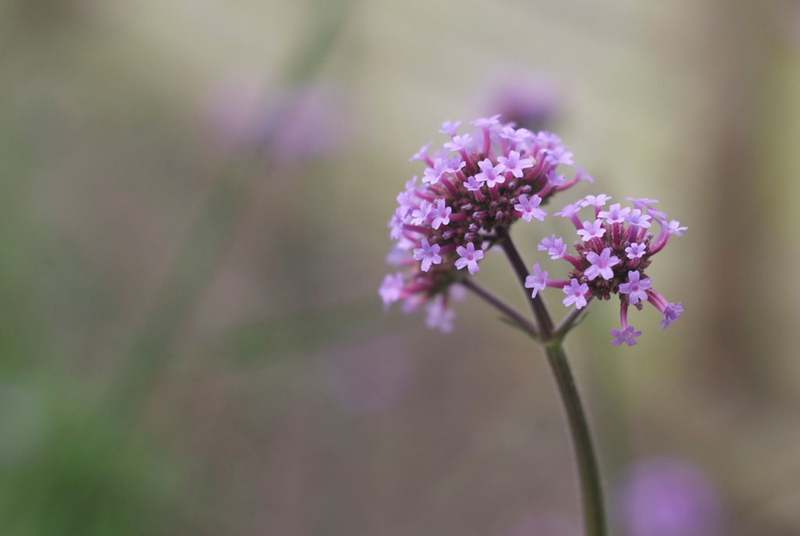 Features: This flower is drought resistant, so it is perfect for drier regions. The flowers close up at night but during the day their bright and cheerful color is wonderfully vibrant. Growing info: Plant in full sun and well drained soil. Water requirements: Water occasionally, especially during dry spells. Never waterlog. Features: Tried and true garden performer from early spring to early summer, these geraniums will lag in the heat of summer but re-bloom when cooler weather returns. Growing info: Sun to part shade, these will thrive on minimal feed and light watering. 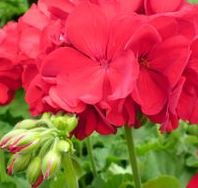 Regal Geraniums will perform best in a dry, hot summer. Water requirements: Allow soil to dry between watering to avoid rotting. 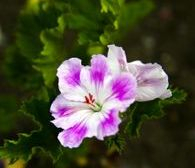 Features: As a low maintenance plant, geraniums flower unceasingly from early spring to late summer. They are undaunted by rigorous or harsh conditions which make them perfect for every gardener from the novice to the well healed. Growing info: Full sun to part shade, these will thrive on minimal feed and light watering, these will perform best in a dry, hot summer. Frequent dead heading will extend blooming. Uses: Accent plants, container gardens and garden beds. Growing info: Full sun to part shade. 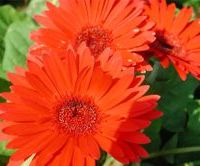 Gerberas are heavy feeders so fertilize for extended blooming. Water requirements: Do not let the soil dry out completely but do not allow the soil to become waterlogged. 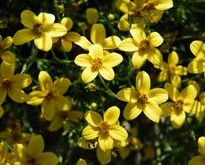 Features: Normally blooming in early summer to fall, this shrubby perennial has been forced into early bloom in a greenhouse environment. You will need to protect it from cold temperatures THIS SPRING ONLY. The following year, the hydrangea will bloom again at it’s natural timing. Uses: Landscape and container gardens. Growing info: Sun to part shade. 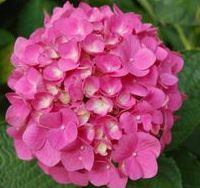 Do not plant your Hydrangea any deeper than the depth of its original pot. Prune plants right after flower. Water requirements: Keep soil moist for the first growing season and water during dry spells thereafter. 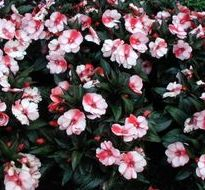 Features: Impatiens create the illusion of glowing flowers in low-light situations, brightening such spaces with profuse flowers. Uses: Mass planting, container gardens, window boxes and hanging baskets. Growing info: Full shade, filtered or partial sun. Blooms from late spring to first fall frost. Water requirements: Allowing the soil to dry out will greatly affect flowering. Water regularly but do not allow soil to become waterlogged. 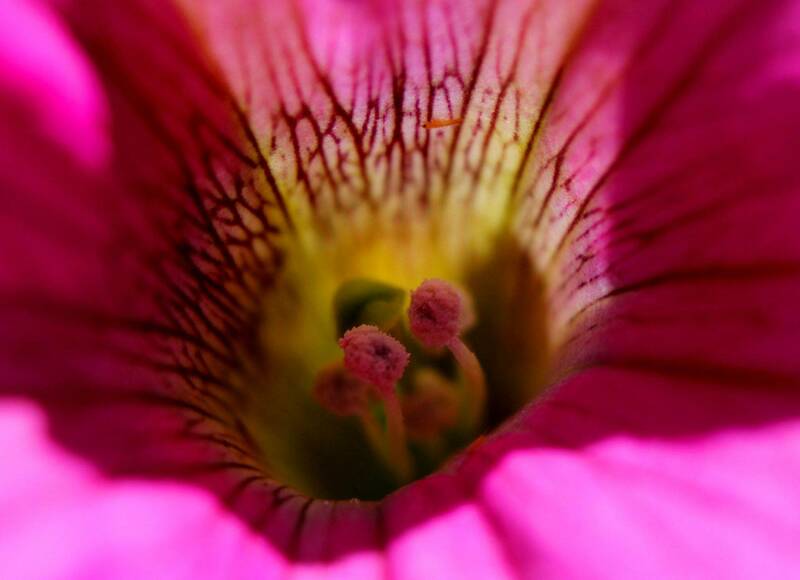 Features: New breeding has produced double blooms that color as profusely as their original parents . variegated leaf coloration and bi-colored blossoms. Features: Known for its bright green foliage, more commonly called Sweet Potatoe Vine, this trailer accent plant spills over rock walls and container gardens with speed and size. Growing info: Sun to part shade. Thrives in hot summer weather but will wilt when rain is scarce. Water requirements: Water weekly in your garden, however, more frequent watering is required for your container gardens, window boxes and hanging baskets. Water early to avoid leaf spotting from residue sitting on leaves overnight. 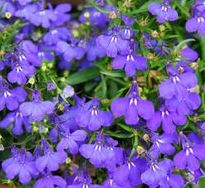 Features: Blooming from Spring until Fall, Lobelia is most loved for edging a garden bed, filling a window box or spilling out of containers or hanging baskets. Warmer weather in the evenings will affect bloom count. 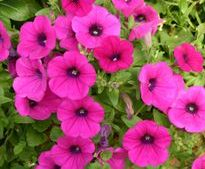 Available in mounding and trailing varieties, both will spill out of your container or hanging baskets but the mounding variety will have a slightly more controlled growth. Uses: Hanging baskets, window boxes, container gardens and mass garden bed planting. Growing info: Sun to part shade. Water requirements: Keep soil moist but do not allow to become waterlogged. 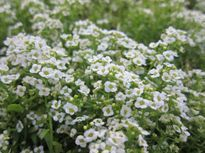 Features: This prolific bloomer produces flowers from early spring to early fall and is one of the easiest plants to grow. 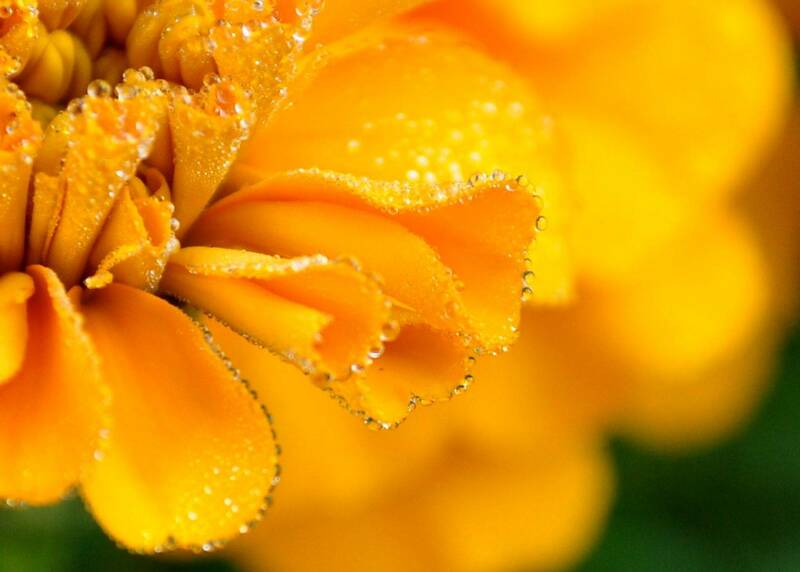 Marigold leaves release an aroma that is not attractive to deer or rabbits. Often used to protect vegetable gardens from root-damaging nematodes. Uses: Mass garden plantings, container gardens and window boxes. Water requirements: Keep soil moist but not waterlogged. Features: A prolific bloomer when spring and summer nights are cool, this daisy pumps out color like no other. Growing info: Full to part sun. Deadhead for best blooming results. 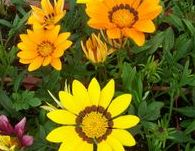 Water requirements: Water sparingly as over-watering will likely damage or kill your Osteospermum. 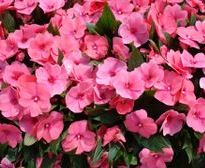 Features: This reliable cool-loving flower is best in early spring and fall. New varieties are more heat tolerant and flower into the summer. Uses: Mass planting, container gardens and window boxes. Growing info: Full sun. Pansies like sun and cool temperatures. Remove dead flowers to promote blooming. 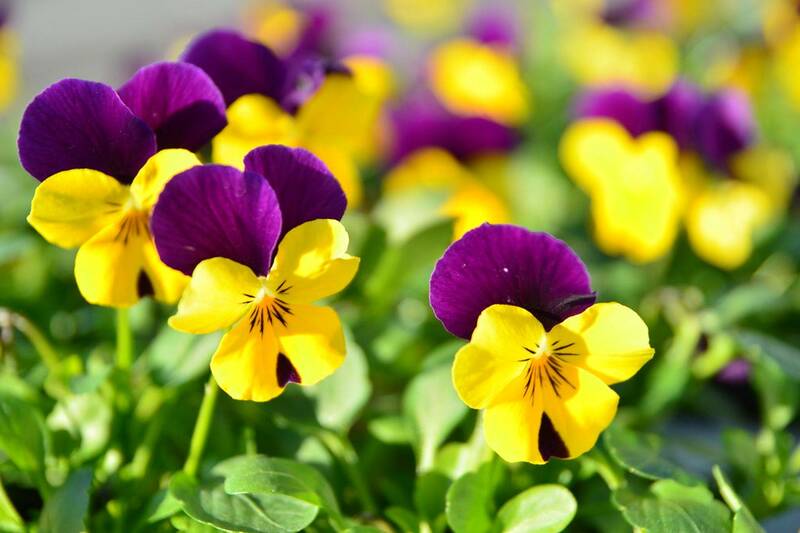 Water requirements: Be sure that your Pansies are constantly well watered but never waterlogged. 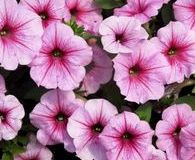 Features: The bell shaped blossoms of the petunia not only bloom all summer long, but they also attract Hummingbirds into the garden. Uses: Mass plantings, container gardens, window boxes and hanging baskets. Growing info: Full sun to part shade. Trim to promote blooming, and fertilize with slow release pellets for best performance. Features: The original petunia you have always loved, but now much easier to work with and take care of. They are also more tolerant of hot weather and cool temperatures. Water requirements: Water early in the morning for best results. Watering in the hot sun can cause burn spots and watering at night can cause root rot. Do not dry out. Features: This is a new mounding variety of petunia. It is moderately hardy and very easy to grow and maintain. Growing info: Full sun to part shade. No need for deadheading or trimming. Fertilize regularly for best results. Features: Early spring to summer blooms that are deer resistant. Uses: Container gardens and garden borders. Growing info: Full to part sun. Cool tolerant. Watering requirements: Keep evenly moist. Tubers can be preserved over winter in a cool dry place. Features: Showy flower spikes make this a perfect accent plant to add height to your mass planting, window boxes and container gardens. They are also deer resistant. Uses: Mass landscape planting, window boxes, and container gardens. Growing info: Full sun to part shade. Blooms late spring to fall. Flower spikes can be cut and dried. Water requirements: Keep well watered. Features: Bright and showy flowers available in bright blue and purple tones. Perfect for spring and early summer color. Water requirements: Keep soil consistently moist. Do not allow soil to dry out. Features: Early spring and late summer gardens will burst with color when planted with these cool weather loving snapdragons. Uses: Perfect for mass planting, container gardens and window boxes. Water requirements: Keep evenly moist but avoid watering the foliage. Features: Long season color that attracts butterflies into your garden from late spring to early fall. Uses: Hanging baskets, container gardens, window boxes, and mass landscape planting. Growing info: Full sun. Pinch back growth tips to encourage branching early on. Water requirements: Slightly drought tolerant. Keep soil consistently moist but never waterlogged. Features: Enjoy bright blooms from late May until first frost with these heat loving plants. Uses: Mass garden bed planting, container gardens, and window boxes. Growing info: Full sun. Pinch back the first flowers to promote branching. Water requirements: Keep soil evenly moist however Zinnias are slightly drought tolerant. Water at the base of the stem to avoid wetting the foliage.